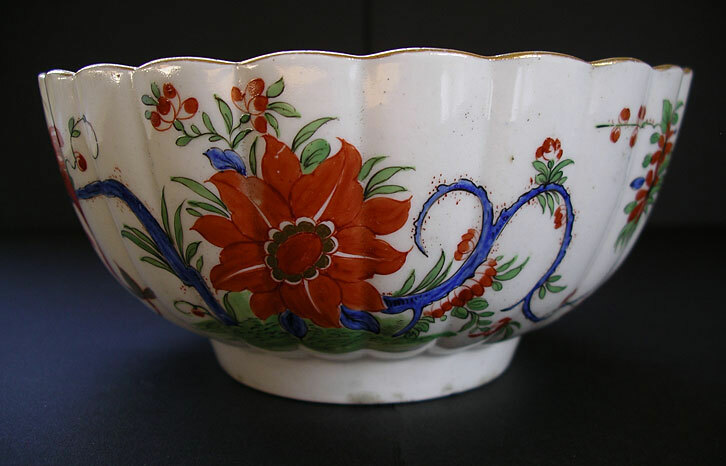 "An interesting, rare and attractive First Period Worcester porcelain fluted bowl of French shape dating from circa 1770-80. It is exquisitely decorated in the Japanese style with a pattern known as the Jabberwocky to collectors. The name evolves from the curious looking mythical dragon-beast that adorns the piece. On this hand painted antique the usual complementary large fiery pine cone motif, forming part of the design, has been replaced by a striking stylized red flower head. 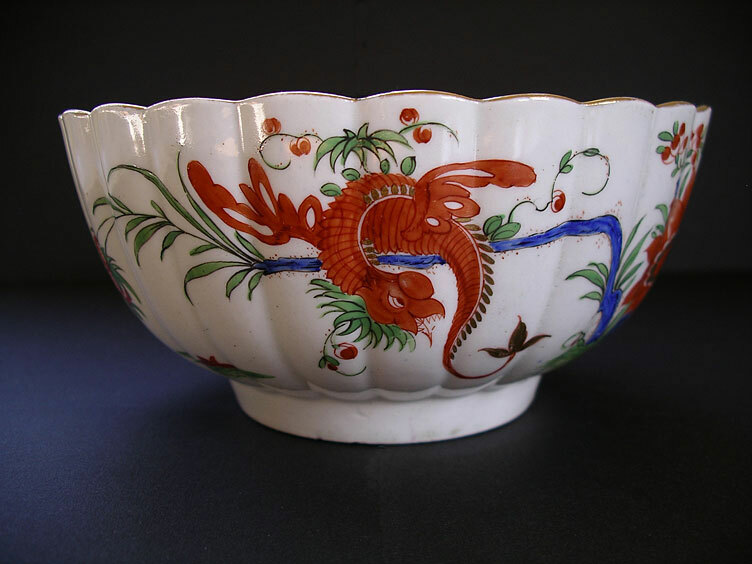 Examples of the Jabberwocky pattern on Worcester porcelain are rare and special." Antiques Expert Hamilton Bear. 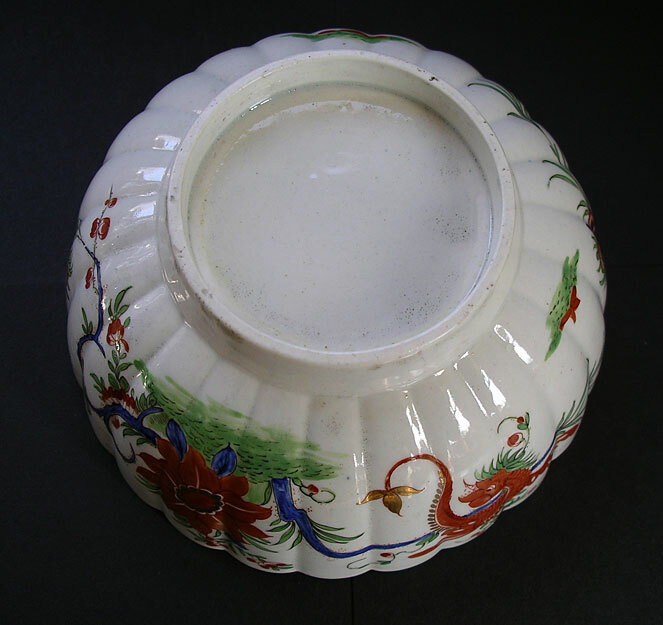 References: See S. Spero and J. Sandon, Worcester Porcelain The Zorensky Collection , page 249 Cat. No. 297 for further examples in this pattern. Dimensions: width 156 mm max. Condition: In excellent general display condition with no damage chips, or cracks, or restoration, or staining to porcelain. Inside the bowl there is typical light scuffing wear and associated rubbing to the small central decoration. 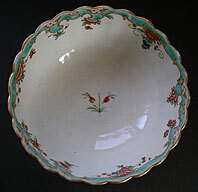 A few minor specs of wear to enamel decoration on the outside and rubbing wear to the gilded rim. Overall no significant defects and the piece is excellent.